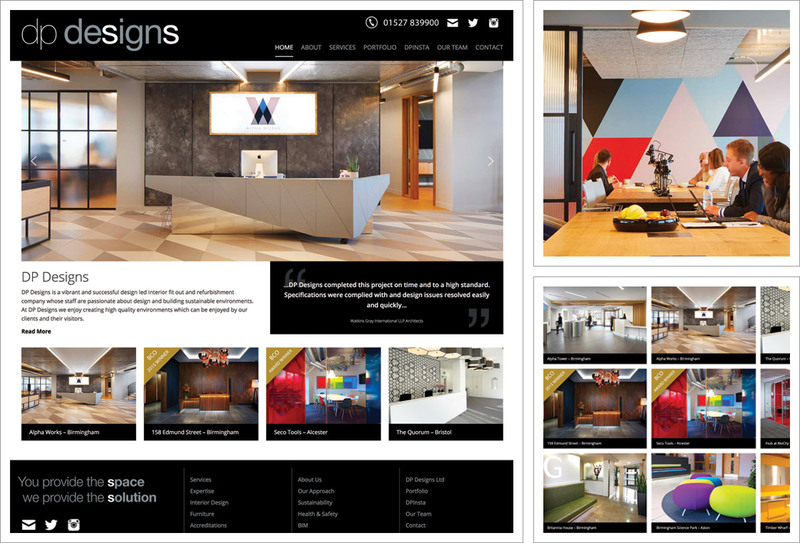 The new DP Designs website has been revised and improved to incorporate a new responsive / mobile friendly design and additional content including many new projects in their interior design and refurbishment portfolio. Built using WordPress, using good on-page SEO methodology the website has a responsive framework, a stylish, uncluttered, elegant design and intuitive navigation. Project images have been used widescreen and with dynamic effects on the homepage and within the portfolio pages a main image accompanied by a series of thumbnails which display in a lightbox gallery. Links to social media, Facebook,Twitter and Instagram. A secure online contact form. A Services page with many supporting subpages. An extensive and impressive design portfolio. The DP Designs website demonstrates the expertise on hand within the DP Designs Team and the phenomenal, inspiring projects they consistently deliver.